The Mutual Fund market in India is growing at a rapid rate and there are a lot of fund houses offering schemes with very attractive returns and low levels of risk. There and funds for almost every investment need. 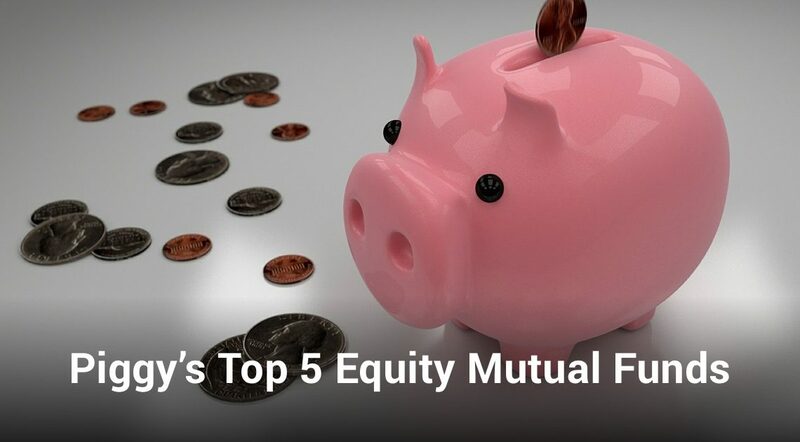 We have curated a list of some of the best Equity Mutual Funds from various categories so that you can make an informed investment decision. The Invesco India Contra Fund is an equity mutual fund that makes its investments based on contrarian ideas which can reward the investor handsomely over a long period of time. This fund is a value-oriented fund that seeks to take advantage of falling markets by investing in interesting prospects at a deflated market value. The fact that this fund can invest across market capitalizations gives it an added advantage to seek out interesting opportunities. This fund derives its strength from its consistent performance across market cycles. The Invesco India Contra Fund is suited to investors who hold a conservative view towards investments and have long investment horizons. The trailing returns of this fund against its peers and its benchmark index have been provided in the table below. The Mirae Asset Emerging Bluechip Fund invests in both large-cap as well as mid-cap companies, therefore, making it a safe bet in the present market environment. The fund focuses on the quality of management, return ratios and a companies extent of leverage and cash flows to determine its investments. This investment strategy has allowed it to consistently outperform its peers and its benchmark since its launch in July 2010. The Fund Manager, Mr. Neelesh Surana stays away from momentum bets and sticks to his conviction-based approach, trusting the fund houses strict stock selection strategy. The fund takes large exposure to the Finance, Energy, Healthcare, and Automobile sectors of the Indian economy, due to macro-economic factors these sectors are poised to see growth in the future and this fund is poised to take advantage of early market cycles. The trailing returns of this fund against its peers and its benchmark index have been provided in the table below. The HDFC Mid-Cap Opportunities Fund seeks to provide its investors with long-term capital appreciation through highly diversified investments in the mid-cap segment of the Indian market. In previous years this fund has made bets in the large-cap segment as well but recently reverted to its core mid-cap mandate. The fund employs a bottom-top stock selection strategy focusing on the quality of its stocks more than the industry they are operating within. Even though this fund has been inconsistent over the years it has a stellar long-term track record, providing investors with good risk-adjusted returns. The trailing returns of this fund against its peers and its benchmark index have been provided in the table below. The Aditya Birla Sun Life Frontline Equity Fund has proved its strength by weathering a large number of market cycles. The fund has almost consistently outperformed its peers and benchmark over the past 10 years. The Fund Manager, Mr. Mahesh Patil, has been managing this fund for the last 13 years and has put together a basket of stable companies that provide the fund with good returns while mitigating volatility risks. Due to the government’s decision to cut excise duty on Petrol, the fund moved away from the energy stocks and has concentrated its exposure towards the Finance sector. The trailing returns of this fund against its peers and its benchmark index have been provided in the table below. The Mirae Asset India Equity Fund has proven its strength through consistently outperforming its peers and benchmark since its launch in April 2008. SEBI’s mandated categorization of mutual funds has proven a hurdle to fund managers when it comes to generating consistent returns. Due to the stringent market capitalization definitions imposed by SEBI fund managers are having a tough time finding good opportunities within their mandates. This is why multi-cap funds are a good bet this season. As multi-cap mutual funds can take advantage of opportunities arising in across market capitalizations the Mirae Asset India Equity Fund has taken advantage of positive market cycles in the mid-cap and large-cap segments. The companies the Mirae Asset India Equity Fund invests in have good return ratios, strong balance sheets and are dominant in their industry. The trailing returns of this fund against its peers and its benchmark index have been provided in the table below. Make small investments for bigger returns. Start SIP of Rs.5000 today & retire as crorepati. Make best of your earnings.